During January and February, the 1st graders at RBE went through the research process while they studied ocean creatures. Each student chose an ocean creature to study, developed questions about that animal, what it looked like, and where it leaved. They used online and print resources, such as books and the World Book Online, and other websites to gather the answers to their questions. 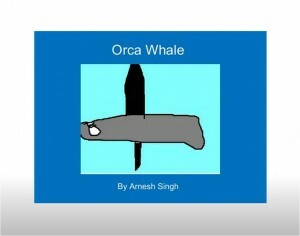 Then, the students used the online ebook creator, Storyjumper, to create an online ebook of all their information! The kids not only had fun using all the cool online tools and writing and illustrating their books, they also learned so much! See all of the 1st grade ebooks on the teachers webpages!